Gastroenteritis is the second most common illness in the United States. Commonly referred to as the stomach flu, Gastroenteritis is in no way associated with the actual flu or influenza. So, what exactly is gastroenteritis? Gastroenteritis is the inflammation of the intestinal lining caused by a virus, bacteria or parasites and can spread through contaminated water, food, or through direct contact with an infected person. In most cases, gastroenteritis only lasts 1-2 days. Several viruses can cause gastroenteritis. Two common viruses that cause gastroenteritis are norovirus and rotavirus. 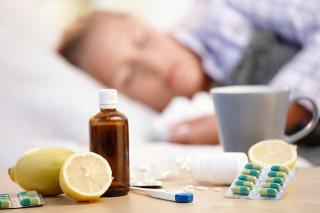 Who is more susceptible to gastroenteritis? What are the complications associated with gastroenteritis? Because of the excessive diarrhea and vomiting associated with gastroenteritis, dehydration is the most common complication. Patients with gastroenteritis should drink plenty of fluids to stay hydrated. Since antibiotics are ineffective against viruses, treatment of gastroenteritis usually consists of getting adequate rest and staying hydrated. In the case of extreme dehydration associated with gastroenteritis, a patient may need lost fluids to be replaced intravenously. If you think you have gastroenteritis, getting to ahealthcare provider quickly can help, especially if you are suffering from dehydration as a result. FastMed is available every day of the week, with or without an appointment. Looking for a family practice in your neighborhood? FastMed has clinics all over North Carolina and Arizona and accepts all major insurance companies!